While Old Man Winter didn't go quietly into the night, summer is indeed coming to Lake Tahoe and will be here before we know it. And perhaps what I love most about Lake Tahoe during summer is the great events that take on the shores of North America's largest alpine lake and to the backdrop of the Sierra Nevada. These summer Lake Tahoe events include street fairs, beer festivals, pro sporting events, and one of America's top fireworks displays. Below, see a few of the best North Lake Tahoe summer events. As I recently wrote, Truckee Thursdays is one of my favorite regular events in the Lake Tahoe area. Every Thursday during the summer, the charming downtown streets of Truckee turn into one big street fair with live music, food trucks, a beer garden, and pop-ups from local merchants. Afterward, post up on one of the local patios for a drink, like Cottonwood or Mellow Fellow, and grab a nice dinner at Trokay or Truckee Tavern and Grill. Hosted by local star guide Tony Berendsen, these guided star tours around Lake Tahoe are a unique way to go stargazing in one of the best stargazing destinations on the West Coast. While winter includes unique events from Tony like stargazing snowshoe tours above Lake Tahoe, his summer events feature a guided outdoor star tour, followed by viewings of the stars through state-of-the-art Celestron telescopes. Bonus points: Complimentary coffee, hot chocolate, and s’mores served fireside beneath the night sky at Northstar California. Tours take place throughout the summer, while August 12 will include a special evening of meteor watching for the Perseid Meteor Shower. The Amgen Tour of California is one of the top pro cycling events in California, with past teams and individual winners having also won the Tour de France. The Tour of California, an annual pro cycling state race, traverses several hundred miles of California in just over a week, with Lake Tahoe frequently featured as a host city. That continues this year with South Lake Tahoe playing host to both the men’s and women’s races in mid-May. Find out more on Tahoe South’s website about when and where to watch. With spellbinding blue water and mountainous peaks over 6,000’ @TahoeSouth is an alpine center built around enjoying the Sierra's sapphire lake. Once again the #AMGENTOC and #AMGENTOCWOMEN tread into the Sierra Nevada’s in 2018! Follow the link in profile to learn more about South Lake Tahoe! Lake Tahoe Concours d'Elegance is one of the longest running, most unique events on Lake Tahoe. Celebrating its 46th year, Lake Tahoe Concours is considered one of the top wooden boat shows in America, taking place directly on Lake Tahoe. This year's event takes place August 10 and 11, in Homewood, at Obexer's Boat Company. Events include the opening night dinner on the 9th at West Shore Cafe, awards ceremony BBQ, and wine village, featuring wines from across the West Coast for sampling. While many destinations may have Shakespeare festivals, none have them on the shores of the largest alpine lake in North America! And that’s exactly what you’ll find with the Lake Tahoe Shakespeare Festival, taking place along the shore of Lake Tahoe at Sand Harbor. 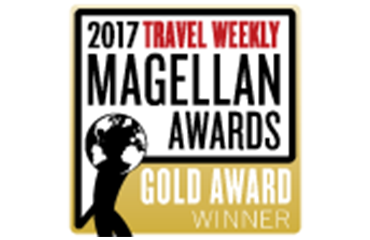 Events take place most nights during July and August, although booking your tickets weeks in advance is highly recommended. Arrive early (gates open at 5:30 p.m.) to enjoy Shakespeare's Kitchen, or, bring in your own picnic to enjoy pre-show. Northstar California’s Beerfest & Bluegrass Festival is another one of my favorite Lake Tahoe summer events, bringing together a few of my favorite things, including live music, good beer, and great food. The headlining event is on Saturday, July 7, when dozens of local and regional breweries fill the Village, pouring samples for guests, while live music takes to the stage. Pair it with Northstar's Brewmaster’s Dinner Series the following evening, Sunday, July 8, when Executive Chef Steve Anderson pairs five courses with five craft brews at the Martis Valley Grille. 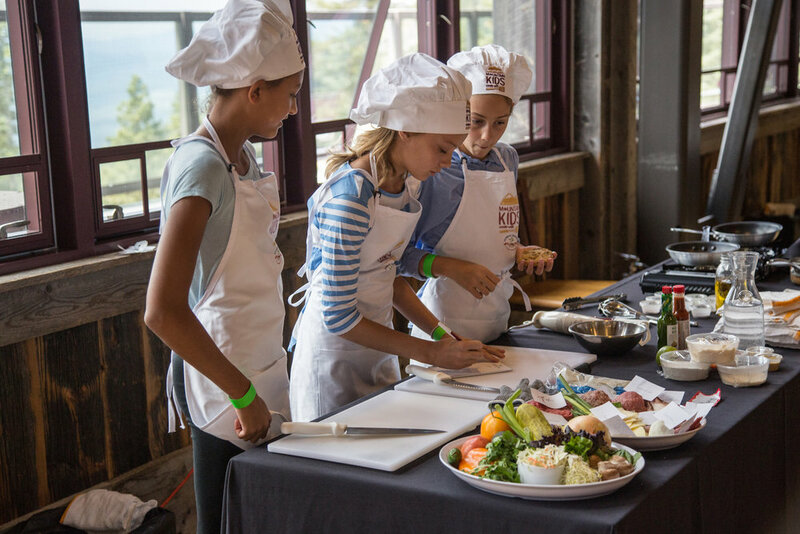 The food and drink theme at Northstar continues with the Mountain Kids Cook-off on August 5. Executive Chef Steve Anderson hand-selects youth chefs from a video contest to face off at Zephyr Lodge in a blind cooking competition. Then, the top two teams meet again at the Lake Tahoe Autumn Food and Wine Festival, in September, for the first-place title. Lights on the Lake is arguably the top summer event around Lake Tahoe, consistently ranked as one of America's best Fourth of July weekend celebrations. Happening during Lake Tahoe's busiest week, July 4th, the annual fireworks display lights up the night sky directly above Lake Tahoe. Because of how busy the weekend is, it's recommended to find your spot as early as possible on Lake Tahoe. Many people will scope out a beachfront location for an all-day picnic and beach day, while a number of waterfront restaurants and bars have their own special events for it. Elsewhere, boats like Tahoe Gal, sell tickets for special fireworks cruises. Finally, to end the summer is another one of Lake Tahoe’s longest running festivals, the Lake Tahoe Autumn Food and Wine Festival. Entering its 33rd year, the Lake Tahoe food and drink festival takes to Northstar California’s Village, mountaintop, and to The Ritz-Carlton, Lake Tahoe for a weekend of enjoying the region’s best food, wine, and beer. The weekend's festivities include cooking classes, culinary competitions (like the Mountain Kids Cook-Off finale), beer and wine tastings, farm-to-table dinners, live music, and culminates with the Grand Tasting.